Reference: Social Indicators Research, 1-31. Reference: International Conference on Social Informatics (pp. 31-40). Springer, Cham. 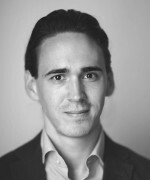 Fabian Stephany joined the Wittgenstein Centre in 2013. After having studied economics at the University of Mannheim, he completed graduate degrees in economics and social science statistics at Bocconi University in Milan and at the University of Cambridge. He obtained his doctorate degree in economics and social sciences at the Vienna University of Economics and Business in 2016. Dr. Stephany's projects focus on the application of computational social science in education, migration, and public opinion research. Currently, he is working on the network development of human and social capital on digital platforms in collaboration with the Oxford Internet Institute. Dr. Stephany has been working as a consultant at the OECD in Paris and as a data scientist in the private sector.